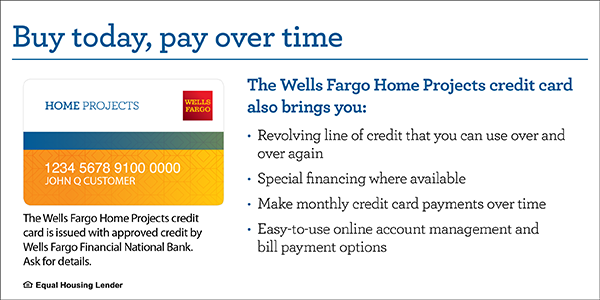 A Wells Fargo Home Projects Credit Card is a great way to finance your kitchen remodeling now and pay over time. You can apply with Wells Fargo online right now by clicking the image to the right. They will respond with a quick credit decision.